Autumn is here. Celebrate the inevitable seasonal changes with family and friends. 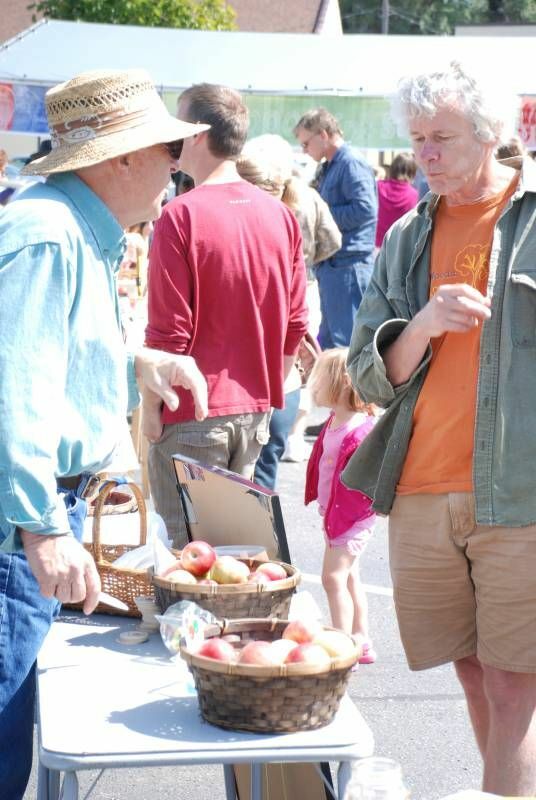 Taste local food and meet local farmers, this Saturday, September 18th, at Just Food Co-op. Friday, September 17th: Farmers’ Market, 11:45 a.m., Riverside Park, Art Opening Reception: This Here Now, 6 to 8 p.m., Flaten Art Museum on the St. Olaf College campus, Tim Freeland, 6 to 8:30 p.m., Butler’s Steak & Ale, Community Services Movie Night, 7 p.m., Northfield High School Auditorium, Recital: Ray Shows, Kirsten Whitson, and John Jensen, 7 p.m., Urness Rectial Hall on the St. Olaf College campus, Art Opening Reception: Doug Foxgrover and Sharol Nau, 7 to 9 p.m., Northfield Arts Guild, Alison Rae, 8 to 11 p.m., Tavern Lounge, and D J Music at the Rueb’N’Stein. Saturday, September 18th: Farmers’ Market and Riverwalk Market Fair, 9 a.m., Riverside Park and Riverwalk, Harvest Festival, 11 a.m. to 2 p.m., Just Food Co-op, Wendy Russell, 6 p.m., Butler’s Steak & Ale, Carnegie Centennial Concert: Roger Lasley, 7 to 8:30 p.m., Northfield Carnegie Library, Relativity, 8 to 11 p.m., Tavern Lounge, and D J Music at the Rueb’N’Stein. Sunday, September 19th: Politics and a Pint, 6 p.m., Northern Roots Session, 7:30 p.m., Quiz Night, 8 p.m., all at the Contented Cow.